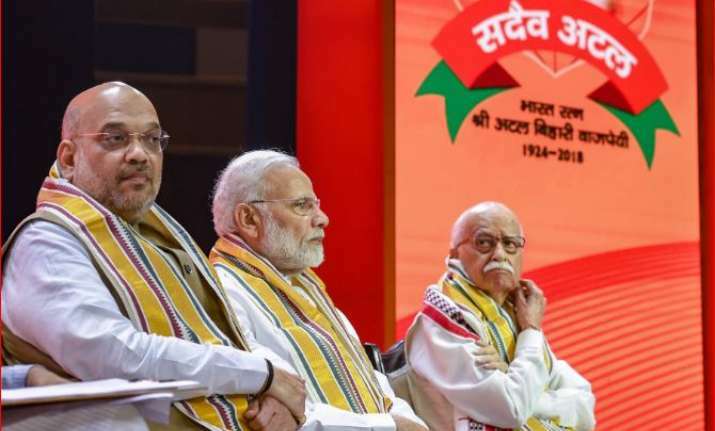 The BJP chief, while addressing the party’s national executive meet, claimed that the party would win in the 2019 Lok Sabha polls with a mandate bigger than 2014. BJP president Amit Shah on Saturday said that the Narendra Modi government is working for "making India" whereas the Congress is working for breaking India. The BJP had won 282 seats out of 543 in the 2014 parliamentary election. He said that Narendra Modi government has worked a lot for the development of the country. Today, India has surpassed France in terms of economy. The BJP has government in 19 states and ruling 75 per cent of the country. "We should not be complacent and should work to ensure a bigger victory in 2019," he said. Taking a dig at efforts by some opposition parties to stich together a grand alliance against the BJP, Shah said, "Mahagathbandhan is an eyewash, an illusion and is based on falsehood".